By TLex Ulysse Nardin have created a new addition for their Black Sea collection. 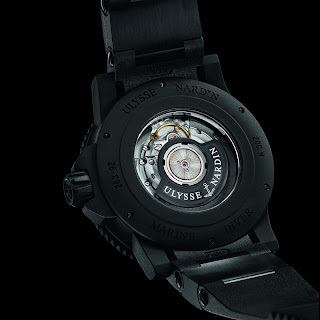 The new Black Sea 2013 embodies UN's rich 'oceanic' history of creating timepieces for diving and sailing. 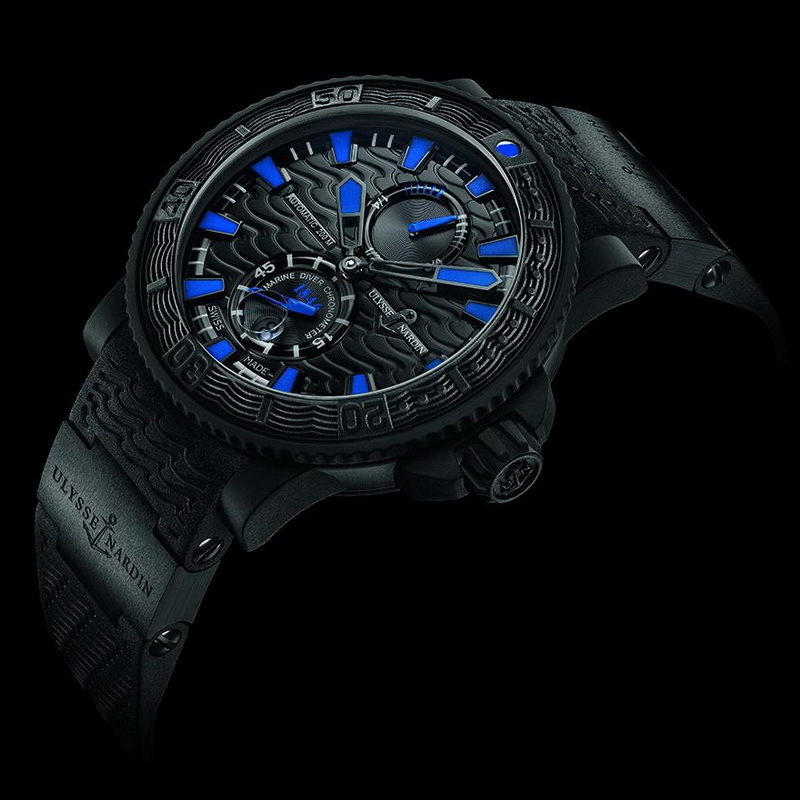 The watch has all the usual Black Sea family characteristics; highly durable with a robust and sporty structure constructed from stainless steel that has been coated with vulcanized rubber. The specialized rubber coating is both comfortable and flexible, but more importantly has been designed to be able to withstand the rigors of an active lifestyle whether above or below the waves, or even landlubbing! Other important features of the watch include: a unidirectional rotational divers bezel for measuring dive time, a rubberized screw crown for added water-resistance to depths of 200 meters and a rubber strap (with two ceramic components) with a folding clasp for enhanced sturdiness. The black wave-pattern dial has a 42-hour power-reserve indicator, situated at 12 o'clock, while the oversized small seconds and large date are displayed at 6 o'clock, always keeping its wearer well informed. 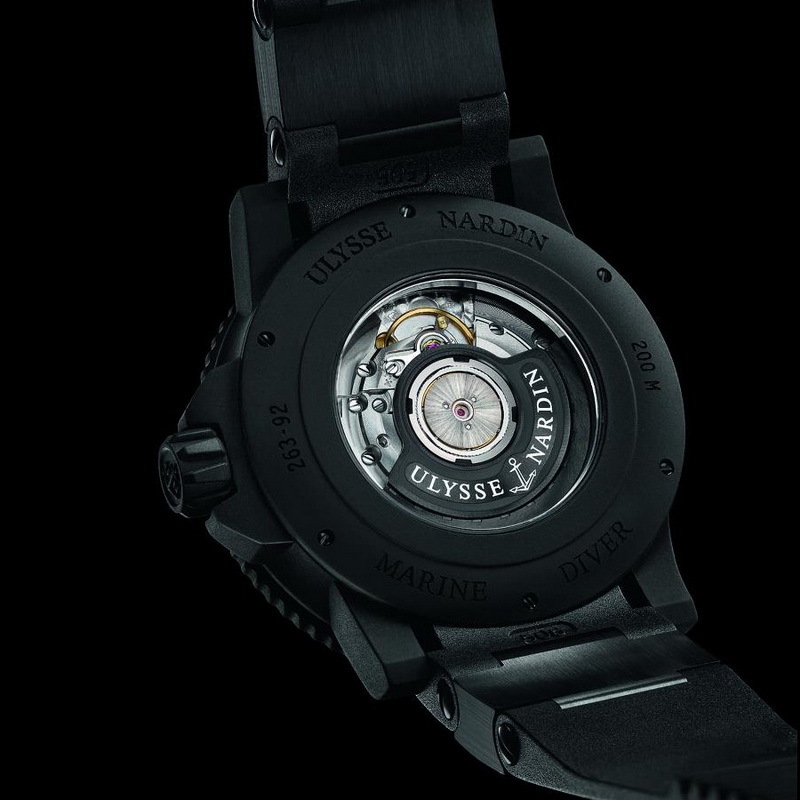 Proven in function and reliability is the UN Manufacture self-winding caliber that powers the timepiece. It can be seen with its black UN rotor through a Sapphire crystal exhibition case-back. 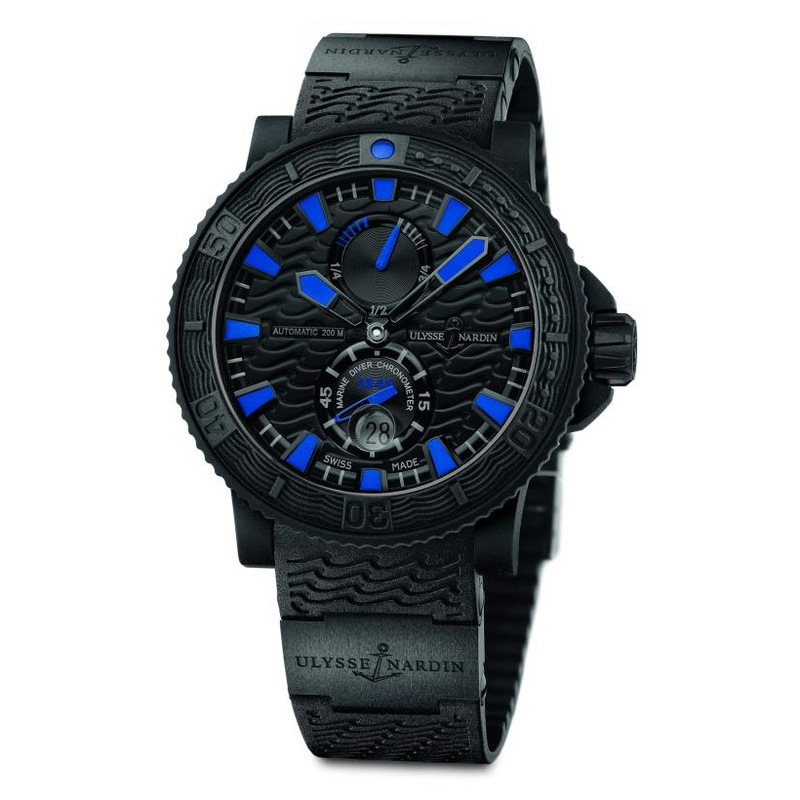 Not a huge departure from other Black Sea models (why would it be), but a nice looking ocean-going watch with striking blue accents providing a refined aesthetic that can easily transform from a wet suit to smarter attire (if need be). 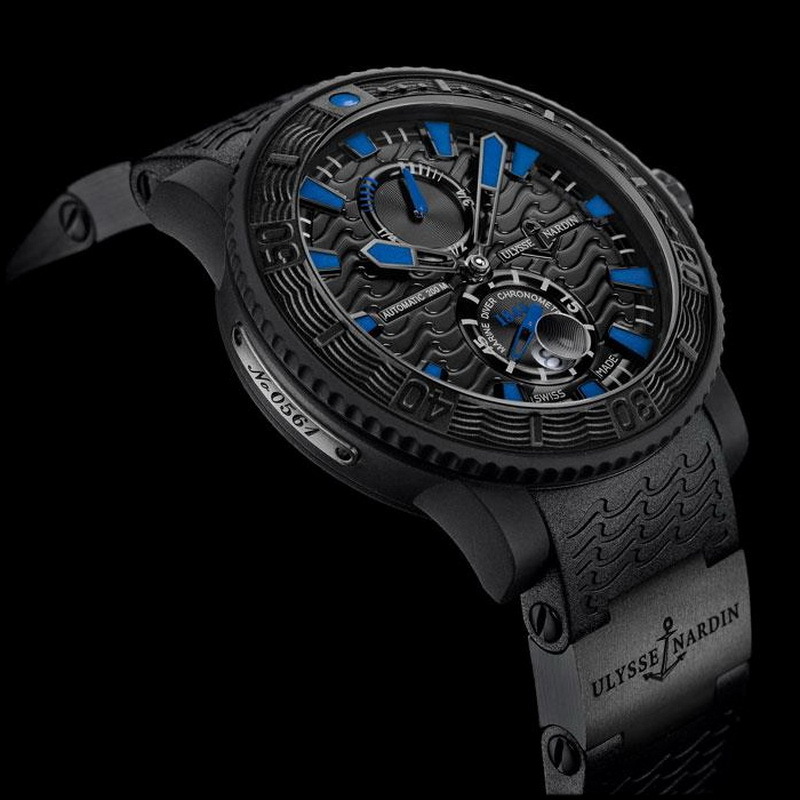 It is both a state-of-the-art diving instrument and an object of style and taste.